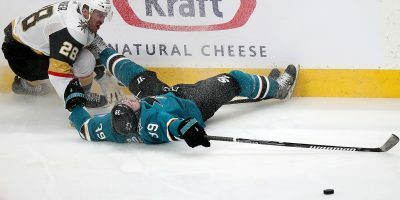 In his first playoff game in nine seasons, Sharks trade-deadline acquisition Evander Kane gave general manager Doug Wilson some validation, registering two goals in San Jose’s 3-0 playoff-opening win over the Anaheim Ducks Thursday night at the Honda Center. 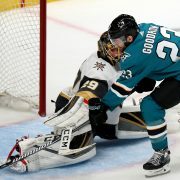 It was a three-goal second period along with a 25-save shutout from Martin Jones that gave the Sharks Game 1 of the series. The two Pacific Division rivals opened the series with back-and-forth play, with the Sharks unable to capitalize on two separate power play opportunities in a scoreless first period. With a two-man advantage, following slashes by Andrew Cogliano and Ryan Getzlaf 16 seconds apart, Kane netted his first goal to open the series’ scoring. 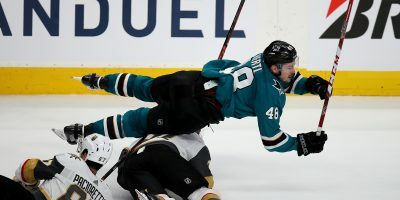 Tomas Hertl drew two defenders behind the goal line before sending the puck to Joe Pavelski who found Kane alone in the slot. Given a clear look at John Gibson and the Duck net, Kane slung a wrister past the Anaheim net-minder on the glove-hand side. Kane’s second came just over seven minutes later, once again assisted on by Pavelski who found him once again in the slot. After Gibson’s momentum threw him out of position, Kane slid in a backhander to give the Sharks a 2-0 lead. 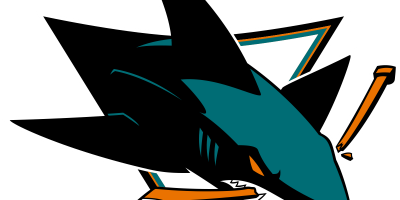 Brent Burns added to the Sharks’ lead after Andy Welinski turned the puck over as he lifted the puck to the point for Burns to intercept who sent a distant one-timer through the wickets of Gibson. 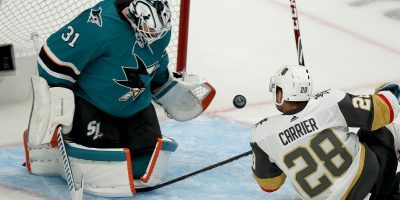 Anaheim came out pressuring the Sharks early in the third period, but Jones and a strong prevent-defense denied Anaheim any chance of getting back into the game. 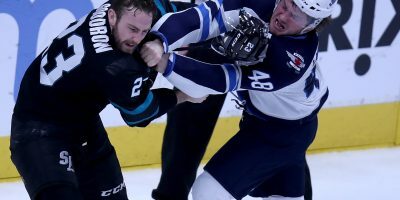 The Sharks will stay in Anaheim for Game 2 of the series Saturday night, after which the series will shift back to San Jose and the SAP Center for Game 3 Monday. Sharks’ forward Evander Kane was second among active NHL players in career games without a playoff appearance – 574 – before Thursday. 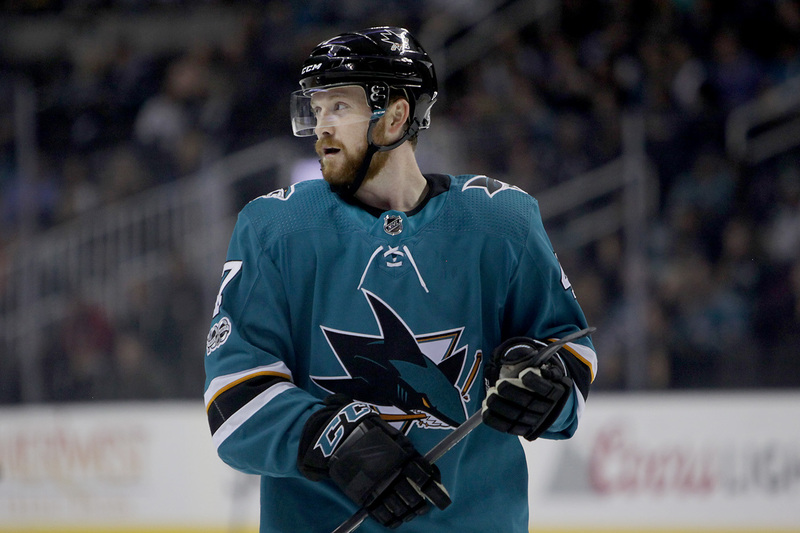 … Joe Thornton participated in pre-game skate, but was not in uniform for Game 1. Head coach Pete DeBoer has given no timeline for his return.